When you’re planning a U.S. National Park adventure, I’m guessing that the health benefits of national parks rarely cross your mind. You’re probably anticipating scenic views, wildlife watching and nature experiences that will be part of the trip. But visiting a national park for good health is just as important as the natural beauty that you’ll see. Visit a national park for good health and great scenery. A national park visit offers the chance to be active if you take advantage of the many hiking, walking, kayaking and other active travel opportunities that are available. And there’s an activity for every level of fitness. By all means enjoy the scenic drives like Going-to-the-Sun Road in Glacier National Park. But after the drive is over, park the car and get out! Glacier National Park hikes are some of the most beautiful in the world. 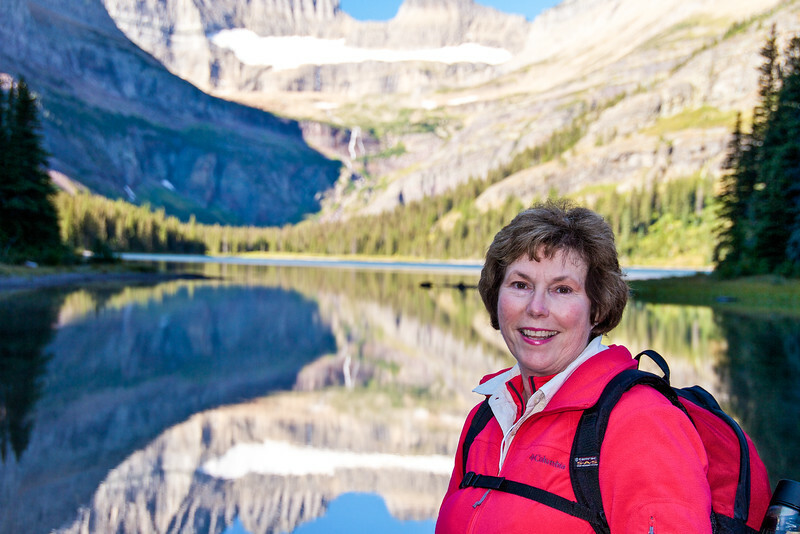 Put your feet on the ground to truly experience Glacier or any national park. You’ll see more wildlife, revel in scenery that’s not visible from the road, and return home intent on walking and hiking more. You certainly won’t get that kind of health incentive from an exercise video. I could smell bacon cooking in the campground as I took this photo of Skyline Arch. The smell of bacon frying wafts through the air at Devils Garden Campground on an early morning photo shoot in Arches National Park. Although it’s tempting to make friends with that bacon-cooking camper, I munch on a handful of nuts instead and continue aiming my camera at Skyline Arch. 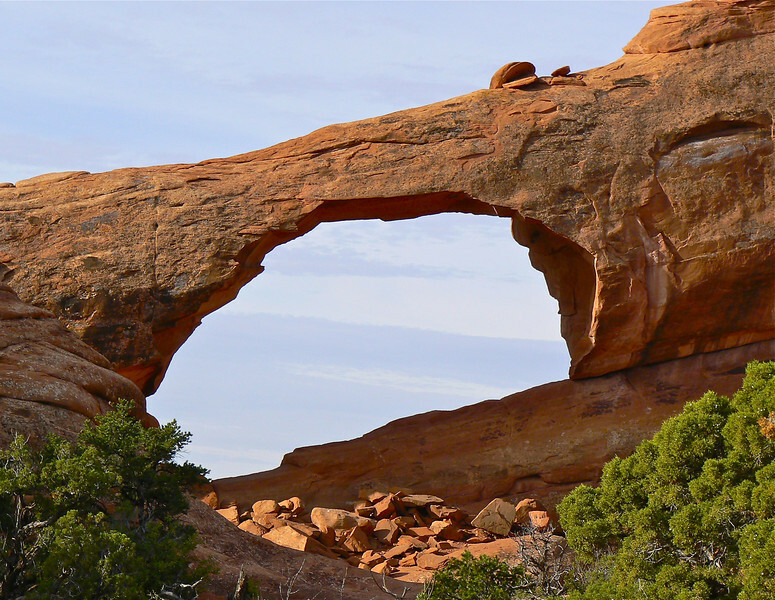 Later, we’ll hike the 2-mile-round-trip on a paved trail to Landscape Arch. For a more active experience, we could continue on the 7-mile primitive loop trail that winds beside more of the sandstone arches that give this national park near Moab, Utah, its name. 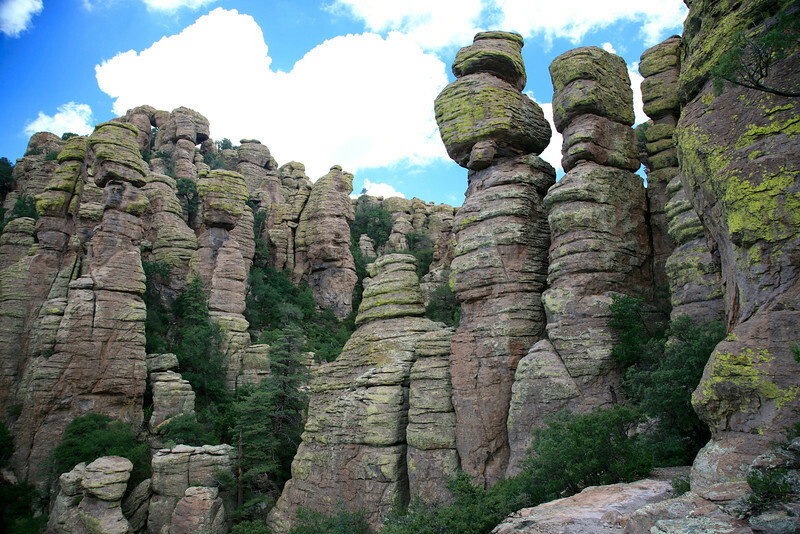 The rhyolite formations in Chiricahua National Monument are impressive. South of Tucson, Arizona, hiking beside the rhyolite formations on Echo Canyon Loop in Chiricahua National Monument puts humanity in perspective. Alan and I seem like small specks compared to the giant stones. And so we find a rock just off the trail to sit and wonder at nature’s handiwork. We turn our faces to the warm sun, listen to twittering birds flitting through the trees and look for tiny wildflowers tucked into rocky crevasses. The scene beckons hikers to sit a moment to soak in the restorative beauty of nature. Alan and I heed the call for a few minutes of rest, relaxation and solitude before continuing the hike—a reminder of the importance of nature in our life. If your national park visit is filled with go, go, go, take time to sit in the presence of nature. You’ll return home more relaxed. Isn’t that one of the health benefits of taking a vacation? National park stress-relieving benefits aren’t limited to daytime activities. Watch a sunset at a beautiful overlook—although you probably won’t have the experience to yourself. Or participate in a stargazing event at parks that are known for dark skies like Bryce Canyon National Park. You’ll finally understand what the Milky Way is all about. Going on a national park hike in higher elevations? Start your conditioning before leaving home. If you’re planning an active national park trip, get in shape before leaving home. Track your progress with a fitness tracker (I wear the Fitibit Alta HR). And make sure to break in new hiking shoes. You’ll be hiking and walking on uneven surfaces and the elevation may be much higher than at home. So start a condition routine at home by hiking local trails, walking up and down hills (to prepare for higher elevation), lifting a few weights, and developing a stretching practice. Visit your doctor before starting any new active health program, especially if you have underlying health issues. As you can see, the healthy benefits of a national park trip have kicked in before you’ve even stepped foot into a park. I don’t know about you, but I can’t think of a more healthy vacation than a visit to a national park. Hiking or biking in the outdoors, breathing the fresh air, walking interpretive trails or simply sitting on a rock to soak up nature’s beauty―the benefits of national parks travel will extend long after you’ve returned home. Check out the online resources and travel products that we use for planning a National Park trip. 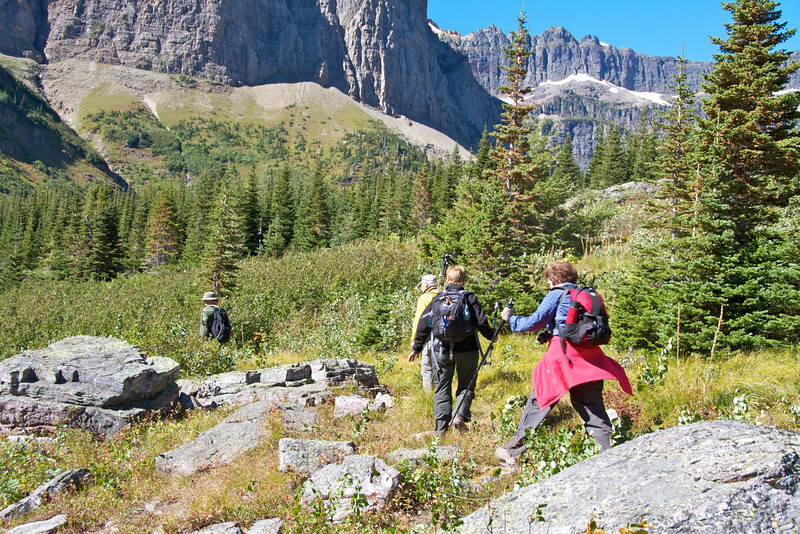 Do you have a favorite national park activity that helps you stay healthy? Come join the conversation at the My Itchy Travel Feet page on Facebook. Or send us an email with your thoughts.